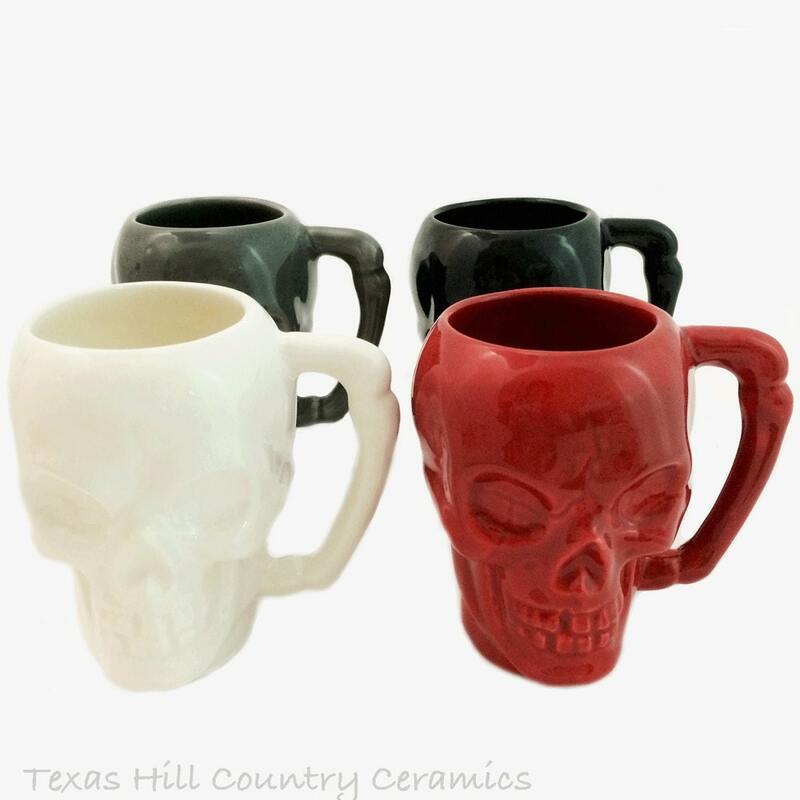 This set of skull coffee mugs are perfect for adding a haunting creep factor to any setting especially at Halloween or even as a wedding gift for your best friend. 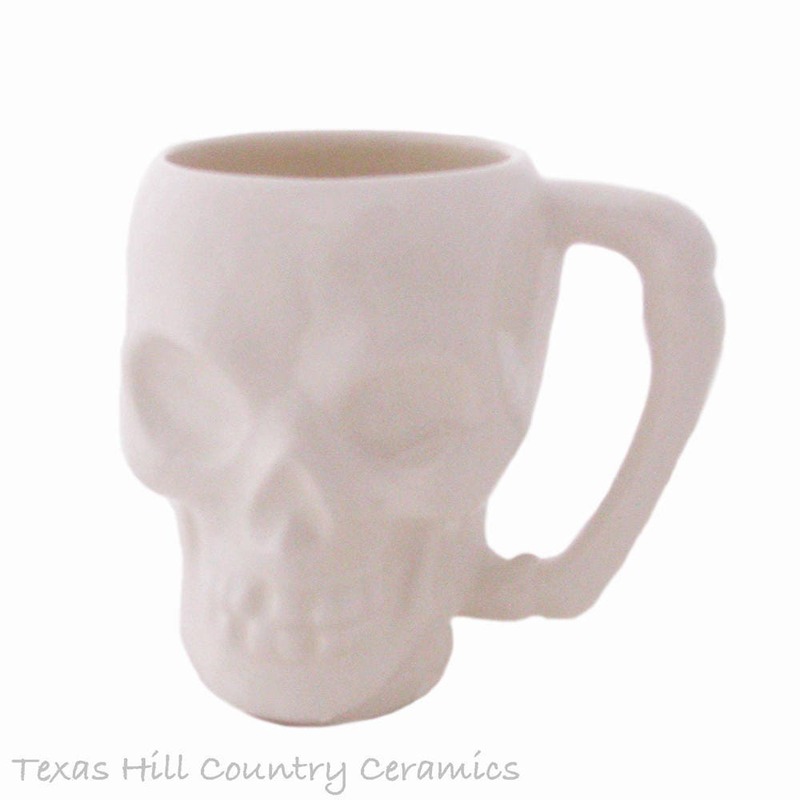 Each ceramic skull mug is handmade of kiln fired ceramic earthenware. 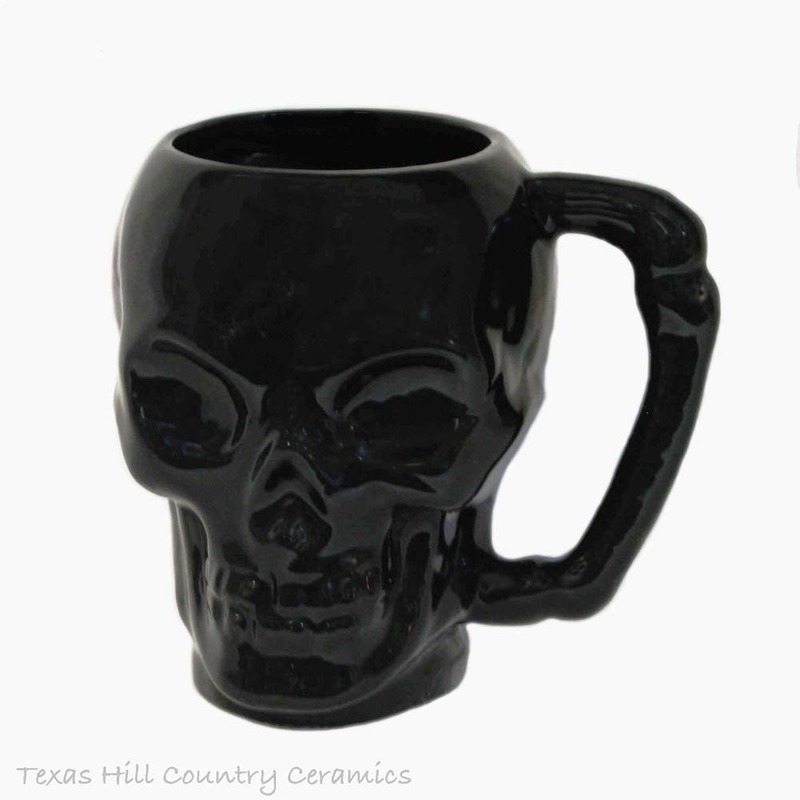 The cup portion is in the shape of a creepy looking skull with a bone style handle. 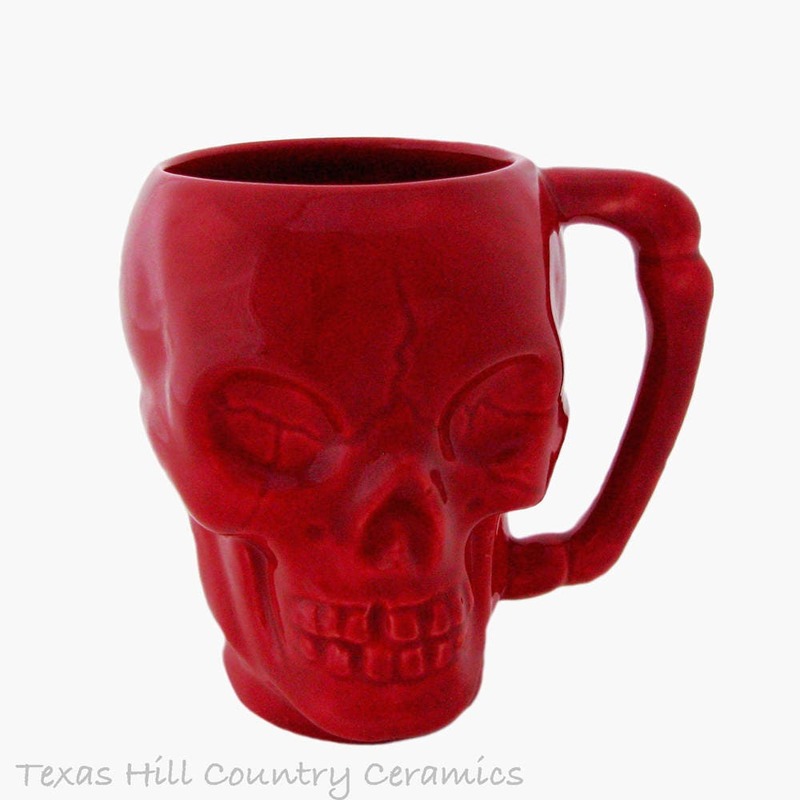 This skull mug is made to be used for hot or cold beverages, the entire mug is glazed in food safe glaze giving it a totally macabre or gruesome look. • 3 3/4 inches in diameter at the widest point of the skull but not including the handle. • Holds 8 ounces comfortably. 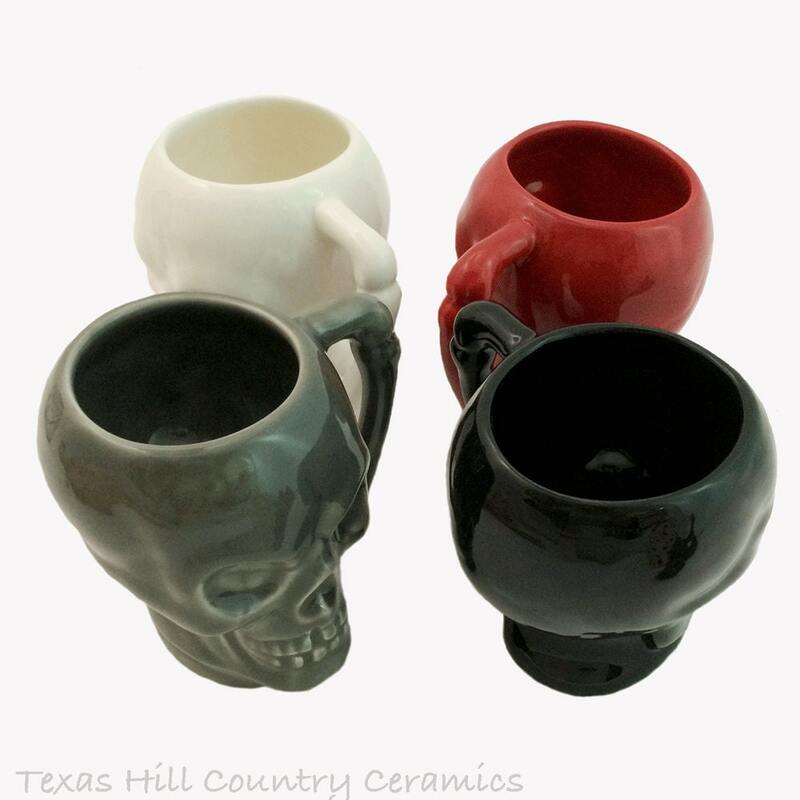 This set of 4 skull mugs are made of domestic ceramic slip. Each piece is kiln fired, each piece is hand painted with non-toxic lead free glaze. This set is made in its entirety in my shop located in central Texas. The handle of this mug is cast solid - hollow handles in a cup should be avoided due to the potential of bacteria growing inside. This set of skull mugs is dishwasher safe and food safe. 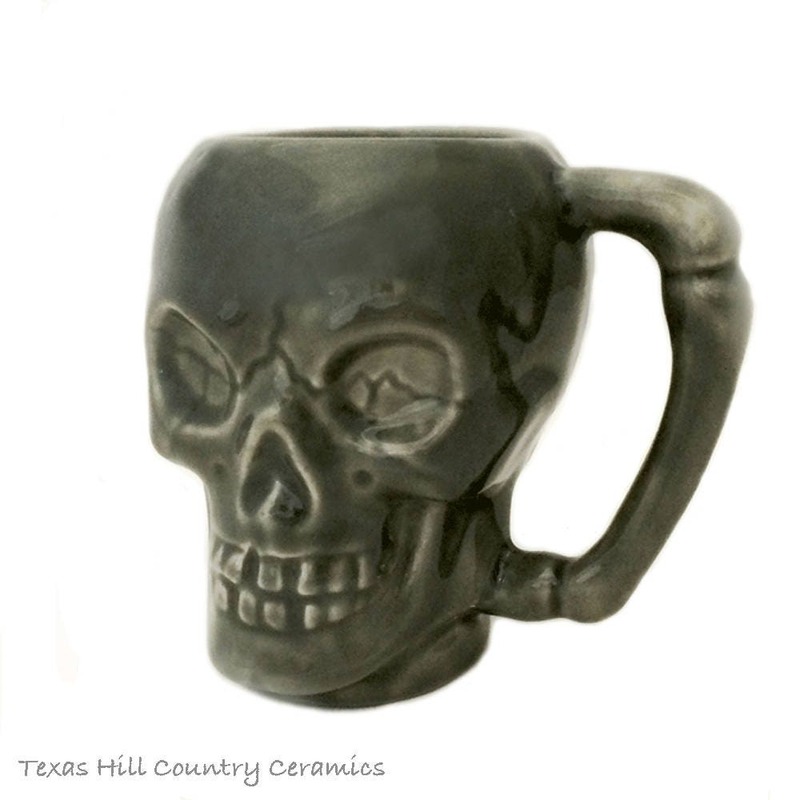 Each skull is glazed with a glossy gray glaze that is food safe and dishwasher safe. Microwave use is not recommended since prolonged heating in a microwave oven over time may cause thermal shock which may craze the glaze. 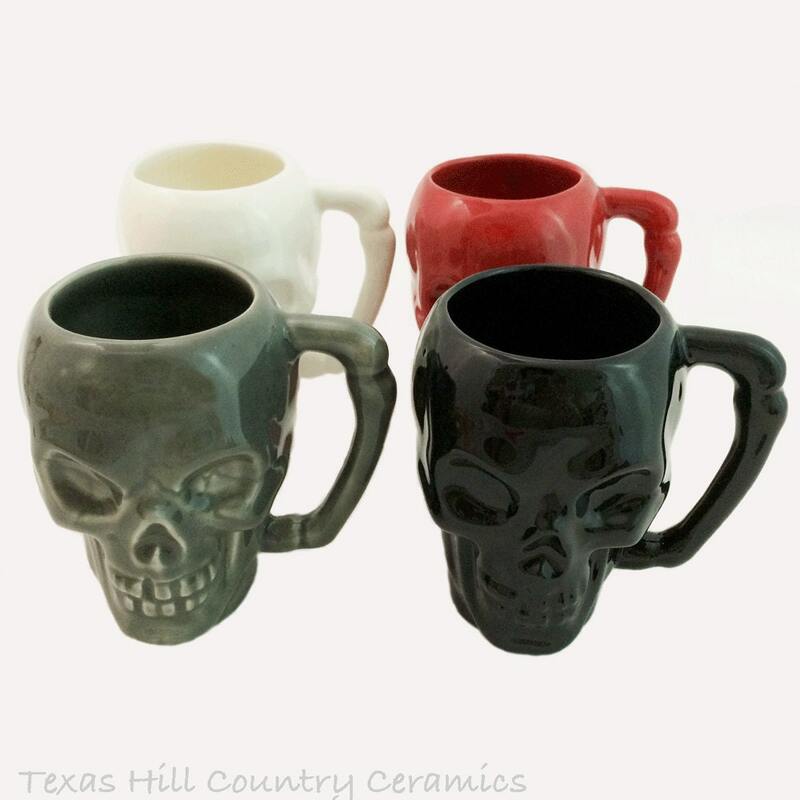 This set skull mugs can be paired with the skull tea bag holder or snack plate for a set for a gift or to include in a gift basket. Coordinating skull items are available.